China, the venerable Middle Empire only emerged from its tumultous warlord era and entered a republican phase with Chiang Kai-Shek as President. In 1930 however troubles were still rampant throughout the country-continent (notably the communist influence) but the biggest threat was outside: The Empire of Japan, already a foot in Korea, had views on China, at least the Northern provinces that she can access easily and were rich in oil and other resources. In 1931, after a serie of orchestrated incidents, the Japanese invaded Mandchuria. On the other side, due south, in 1932 drama unfold in Shanghai, called the January 28 “incident”: Japanese airborne forces bombed the city in a serie of raids, followed by a fully-fledged invasion. From these two footholds, a thirteen-years war would see million perish as China was gradually entirely occupied by the Japanese. In the meantime and especially in WW2 with the help of the allies, Nationalist Forces as well as communist forces of China would resist and even counter-attack occupying forces much like in Europe, and these forces were consequentely not deployed in the pacific. After 1937 China already lost a good part of its sovereignty over its territories, including the whole eastern coastal area and major rivers, so its navy. 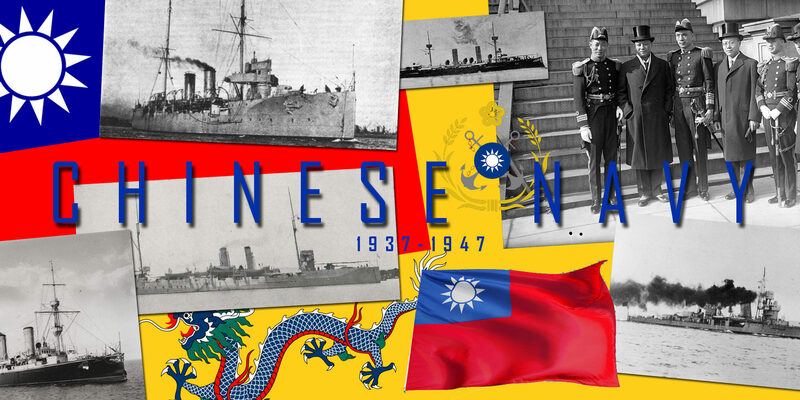 Often overlooked, this Chinese navy of the interwar deserves a complete overview. The Chinese Navy began a reconstruction shortly after the Sino-Japanese war of 1894, where the modernized Beyiang fleet alone punched well above its Japanese opponent. The Yangtze, the mighty yellow river cross-crossing the country west to east and its numerous tributaries, was one of the vital arteries of the empire, also harboring many warships of various nations, in particular gunboats. In the 1920s the remains of the old fleet that had survived the Battle of Yalu (1894), made up a large part of the workforce, including light cruisers. The political instability of 1929, with the Nationalist rise of Chang Kai-Shek, did not prevent the ruling power from ordering a few units in Japan, aware of technological backwardness. This central government began rebuilding the fleet in 1926, initiating the construction of 8 river gunboats in Shanghai, and later commanding two light cruisers in Japan. But in 1931, the latter invaded Manchuria, taking advantage of internal disturbances between Communists and Chinese Nationalists, and trying to get closer to the emperor. In 1937, the Japanese forces launched a great offensive towards the south: The world war was going to begin in this place of the globe and to continue ferociously until 1949, with the arrival of the communists in power. During these 12 years, Chinese Nationalists in the south and Communists in the Northeast opposed the same enemy. Japan as the occupying power made Manchuria an imperial puppet state, the Manchuko, in March 1940. It was also refitted with ships captured in 1937-38. The Japanese led their blitzkrieg on the ground of the heavenly empire, their airplanes crushing most units that were not torpedoed by IJN vessels on the high seas, or that did not scuttle to escape capture. So that the little she could oppose to the occupying forces were swept away in a fortnight. Some units later repaired returned into service under Japanese colors during the Second World War. It might have been thought that the allies who supported Chiang Kai Tchek’s war effort with forceful planes and material could have also delivered some ships, but no naval combat units apart from a few gunboats were transferred by the allies before 1942, the bulk of the latter’s endowments stemming from the American will to contain communism in China, conducted from 1949 from Taiwan (Taiwanese Navy). In the absence of larger ships, the Chinese blue-water navy possessed only a handful of pre-ww1 light cruisers to defend its coasts. This were the Tung Chi (Fu An class, 1895), the three units of the Hai Yung class (1897), light for cruisers, slow, little modernized and therefore totally outdated. In 1937, the Hai Chi was a bit heavier (1898, 4300 tons), and the best were the Ying Swei and Chao Ho of 1911, of British construction (Armstrong-Elswick) typical of the style of the yard light export cruiser. The only two powerful and modern units in the fleet were ironically the two Ning Hai, built in Japan, in Harima and delivered in 1932, and the Ping Hai, built in China at the Kiangnan arsenal, under Nippon supervision. But disagreements between the Chinese staff and management led to the repatriation of the Japanese, the construction thus entrusted to German engineers commissioned for the last modifications. 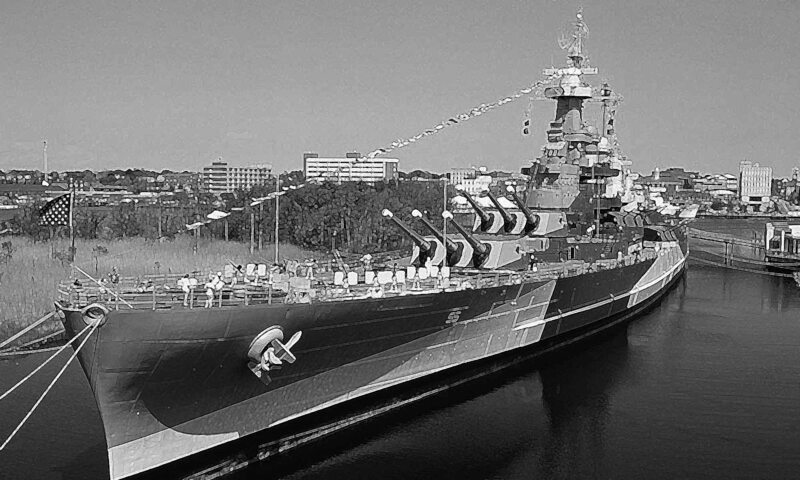 For these reasons, this cruiser benefited from excellent German AA artillery and had diverging superstructure details. She was completed in 1936, and did not have enough time to train her crew: She was sunk like her twin by Japanese bombers in September 1937. In 1912 the Chinese admiralty asked for new cruisers, following the delivery of the Chao Ho serie from Vickers in 1911. This time, they turned to the Italians which were markedly cheaper, for two better designs. -The first design was ordered in September 1913 at CNT Montfalcone. This was a very light scout design, at 1800 metric tons, for 190.7 x 10.9 x 4m (350x 36 x 13ft). The machinery was German: Two shafts AEG turbines, with Yarrow boilers for a total of 30,000 hp, for a staggering 32 knots. Coal was 150 tonnes, and oil 130 tonnes. Armor details are not known with precision but would have included deck and shield protection. The armament was to be provided by Skoda: Ten 4in guns (102mm), along with four 1.8 in (47mm) and two 18in (457mm) TTs. Number 65 and 67 were ultimately laid down at CNT in 1915, but seized on the stocks by the Italian government and recaptured intact by the Austro-Hungarians in October 1917 but there seems to lack evidence for any serious intention to complete the ships. What was started was recycled after the war. -The second CNT design was calling for a much larger design, at 4900 tonnes normal, for 137 x 14.7 x 4.9 m (456 x 48 46 ft). This N°68 was ordered by the Chinese in November 1913 and laid down on March 1915, but never completed. The hull was scrapped postwar on the slip. Construction work began really at the end of 1914. The machinery was British (2 shaft Parsons turbines, 14 Yarrow oil fired water tube boilers for 37,000 hp and 28 knots), and the armament was to be provided by Skoda: Four 8 in (203 mm) in twin turrets, 12 shielded 4.7in/45 guns (120 mm), ten 1.8in (47mm), four 1.5in (37mm), eight 8mm MGs, and two 18in (457mm) TTs. The protection was to be 4in for the belt (102), 2.5in for the deck (36mm), 4in for the turrets and the conning tower (102 mm). The design recalled the Admiral Spaun one, with four widely spaced funnels, two masts, two turrets fore and aft, a forecastle, and the rest of the artillery on the broadsides. Also, the Chinese ordered from the same yards, the Yung Tuan and Ching-Po class destroyers, of 400 tons, and armed with 3x 12pdr, 4x 3pdr and 2x 18in TTs. The first one was seized and completed by the Austro-Hungarians in 1914 as Warasdiner. The second was seized by the Italians and renamed Ascaro. Most of the Chinese navy was patrolling on the Yangtze Kiang, deep enough to Hankow, 600 miles offshore for the cruisers. These river gunboats were modestly armed and rather small in their category. These were composed of units of all ages. Some were “veterans”, ships dating from 1902 as the two Dog Wei class, known in 1932 under the name of Tse Chiang and Ta Tung, rearmed and modernized in 1931-32. There were also the Hoi Fu and Fu Yu (1904), the six units of the Chu class (1906-07); Also operating were the two 1912 Hyung Feng class, the two Yung Chien class (1915), the four Chiang Kung class of 1908, the two Chiang Hsi class of 1911, and the two Wei Sheng of 1922, converted into seaplane carriers in 1928. All these vessels were in the less tha 1000 tons range. They were not fit for high seas and had limited range. The recent ones were those of the Hsien Ning class (1928), with two other units of 460 tons, the Ming Cheun class, the Yung Sui of 1929, and the Yat Sen (1520 tons), classified as a frigate and built in 1930. This force was reinforced with 13 other small old light gunboats (between 150 and 350 tons), and two ‘MAS’ type torpedo launchers, bought in 1921 broken up in 1938, the Kuai 1 and 2. Modern light gunboats were those of the Yung Shen class (300 tons, 1928 and 1931). The Chinese fleet had only three destroyers in service in 1937, and these were German ships of a completely outdated type, built in 1912, the Kang Dog, formerly Chang Feng class TB Schichau destroyers. Fast, they were not however anywhere near the capabilities of the smallest Japanese destroyer. There was also a small force of 8 torpedo boats, four of which were outdated (1895), and there are doubts about the facts they were in actual active service in 1937. On the other hand, the four Hu Peng class from 1908 served on the Yangtze. Finally, the Chinese fleet operated also on the Yellow River with six 400 tons small patrol boats, those of the Ning class built between 1932 and 1936. The last 5 originally planned were never completed and scuttled in 1937. They were armed with two old 57mm guns. She also operated two modern Tung-class light minesweepers (1935). In 1942, in February, four riverine gunboats were offered by the British and American governments to Chiang Kai Tchek (formerly HMS Gannet, Sandpiper, Falcon, and USS Tutuila). The puppet government of the last emperor, Pu Yi, possessed very symbolic armed forces, entirely at the discretion of the Japanese. The latter constituted a “navy” which existed from 1934 to 1945, swept away by the offensive of the Soviet forces in August 1945. It consisted of the destroyers Hai Wei, a former obsolete destroyer of the Momo class, transferred in 1937, and recovered by Japan in 1943, as well as gunboats to serve on the river Amur: They were the ex-Chinese Lisui (formerly Li Chieh, 1903), the four powerful Shun Tien gunships built in Japan in 1934-35, and the two Tatung Class of the same type in 1933. All were destroyed by Soviet aviation on the Manchu border. Shortly after the attack on Pearl Harbor, the situation was hardly brilliant: The immense territory of China was divided between three main belligerents and two secondary: The Japanese had bombed all the Chinese units that did not be not scuttled, and some will be reused as Ning Hai and Ping hai, repaired, rearmed and re-commissioned on the Yellow River by its former builders under the name of Ioshima and Yasoshima, as well as some gunboats. The small Manchukuo was also another actor, though under tight control of the Japanese. The Communists operated mostly on land and had no known units, although they rearmed a few modest gunboats later at the end of the war, which also operated until 1949. The Nationalists managed to capture one or two ships of the former Chinese fleet and received 4 from the Allies. The central Chinese power no longer existed, a parenthesis has opened. The cruisers Ning Hai and Ping Hai were in 1937 the most powerful modern units of the Chinese fleet. The first was commissioned to a Japanese shipyard and built on site, and the second was to be built in Kiangnan by a team of Japanese and a Chinese staff. The first disengaged from the project and the cruiser remained uncompleted in 1933. Talks finally won the adhesion to the project of a German engineers mission, which resumed construction and completed the ship with a number of modifications, including AA guns made in Germany and served by German fire-control stations, which did not simplify crew training: They were armed with 6 x 76mm AA (Ning Hai) and 3 x 88mm AA (Ping hai). These two units were officially classified as light cruisers and so listed by Jane’s fighting ships volume of the time, but in reality, they were large coastguards. On 23 September 1937 they were attacked by torpedo bombers on the Yangtze and sunk in shallow water. They were easily captured by the Japanese troops later and repaired then pressed into service, first under the colors of the Nanjing Government in 1939-43, and later under the name of Ioshima and Yasoshima in 1944, (Ioshima, ex-Ning Hai), or (Yasoshima ex-Ping hai), receiving 8 heavy machine guns. The first was sunk by the USS Shad (Gato class) near Honshu Island in April 1944 and the second by a Luzon aircraft, Philippines, in November 1944. Propulsion 2 propellers: 2 turbines, coal boilers, 9500 hp. and 22.25 knots max. Armament 6 x 140mm (3×2), 6 x 76mm or 3 x 88 mm AA, 2 double benches 533 mm TTs. Small protected cruisers built in Germany at Vulcan, Stettin. There three were steel-hulled, two-masted, two-funneled ships completed in 1898, with two 5.9 in guns mounted side by side on the raised forecastle, the third on the poop. The 4.1 guns were arranged on the broadside in the waist. There as a submerged bow TT and tow above waterline side ones (later removed). The armour was on a compete deck, 2.75 in thick, over the engines and boiler rooms but 1.5 in elsewhere and on the ends. Propulsion: 3 propellers, 3 Parsons turbines, 3-6 boilers, 6000 hp. and 20 nodes max. Armament: 2 x 150mm, 6 x 76mm, 2mm of 37mm, 2 x 457mm TTs. The Hai Tien class were 4300 tons cruisers built in Great Britain, at Armstrong yard. They were steel-hulled, two funelled, two masted, laid down in 1896 and completed in 1899. Their 8 in guns (152 mm) were mounted in turrets fore and aft with electrical mounts, and the 4.7 in guns (102 mm) on the broadside amidships. They had one bow TT and four more above water on the sides. They featured a complete protected deck (Harvey steel). Hai Tien was sunk in 1904. Propulsion: 2 propellers, 12 cylindrical boilers, 17000 hp. and 24 knots max. Armament: 2 x 152mm, 10 x 140mm, 16 x 76mm, 5 TLT 457mm. The two cruisers Ying Swei and Chao Ho were among the most modern cruisers of the fleet in 1937 … They were built in Great Britain, at Armstrong and Vickers yards, on an Armstrong design specially for training. A third unit, the Fei Hung, built in New York and completed in 1913, did not have time to be received because of the Chinese revolution of 1912, and was sold to Greece by the American shipyard. The remaining two cruisers were sunk in 1937, the first in Canton in September and the second on the Yangtze River in Chiangyin in November. Propulsion: 3 propellers, 3 Parsons turbines, 3-6 boilers, 6000 hp. and 20 knots max. Armament: 2 guns of 152, 6 of 76, 2 of 37mm, 2 TLT 457mm. These 6 vessels were ordered in 1904 from kawasaki Yd in Kobe, alnd launched in 1906-07 as the Chu Tai, Chu Tung, hu Chien and Chu Yu, Chu Yiu and Chu Kuan. The Hukwang Viceroy Chang Tse Kung appointed Lao Hueiwen to supervise construction. On trials they were capable of 16.3 knots. Chu Tai was destroyed by a Japanese aircraft in 1938, Chu Chien was scuttled on the Yangtze in August 1937, Chu Yiu and Chu Yu were both also sunk by japanse aircrafts on the same river, while the reminder were captured in 19149 by Communist forces, while Chu Kuang served with Taiwan until the 1960s. The class of three ships comprised the Yung Chien (Launched at Kiangnan Docks 1915), Yung chi (same), and both were relatively large ships, at 860 tons, with a large and roomy steel hull, and armed with 4-in guns (102 mm) and a sizeable secondary quick-firing artillery in sponsons plus two 37 mm AA on the deck, each side at the rear of the second funnel. Their records for the period are not known until their fate in the war with the japanese: Yung Chen was sunk by an aircraft in August 1937 while lying under repairs at the same dock she was launched. She was captured by the Japanese, repaired, refitted as the depot ship Asuka, before being finally sunk on the Wangpoo river by an US aircraft in 1945. Yung Chi was sunk on the YangTse river ner Hsing-Ti on November 1938 after an air attack. She was salvaged, repaired and transferred to the Nanking Govt. Navy as Hai Hsing and rearmed (1x 100, 1x 90mm, 2 small guns), then recaptured by the Chinese in 1945, took back her former name and sunk by the communists on the YangTse in 1949. This ships was launched 16.8.28, the first of a new serie of gunboats of generally similar design by Kiangnan Docks Co from Shanghai, designed to operate on the low, deep-water reached of the main Chinese rivers and along the coast. Draught was shallow but not as much as usual riverine crafts and ships. She was sunk by Japanese aircraft on the Yangtze in 1.7.1938. Ming Cheun and Ming Sen were launched at Kiangnan in 1929 and 1931 respectively. They were basically enlarged Hsien Ning, with two close funnels, a small forecastle, more machinery power, better speed, and 76mm instead of the old 57mm AA. The Ming Cheun became a Republican ship (Chang Chiang) after 1949. Ming Sen was sunk by Japanese aviation 3.10.37 but salvaged and repaired in 1939. Repair ship Hitonose, lost in 21.11.44 in colision with merchant vessel Kosho, salvaged again, towed but hit a mine and sank. Built at Kiangnan in 1929, enlarged version of the Ming Cheun for a larger armament, a 6-in gun notably, while the 100mm was upgraded by a 120mm. Superstructures and general arrangements were abou the sale, with boilrs and funnels rearranged further aft. Engine poweer was larger, and the reworked hull lines allowed for greater speds. She was sunk by the communists in 19489 but apparently refloated and did serve with the Republicans until the 1970s. This large ships, although generally similar in design to previous gunboats was often classified by Western intelligence as a heavy sloop, bordering on light cruiser class. Launched at Kiangnan in 12.11.30 she had a 152mm mounted on the forecastle under mask, and 140mm on the quarterdeck aft, and four 76mm AA guns in centerline ppsitions on the superstructure, including a superfiring one on the front, behind the main gun. Yat Sen operated on the YangTse when she was attacked by Japanese aviation damaged and beached Nangking on 25.9.37, salvaged and reconstructed by the Japanese. As Atala, shee was rearmed with 3x 80mm AA, had a new rig, reworked deck, and bridge structure. She was captured by the allied in 1945, transfered to China in august 1946, then took over by the Republicans as Yi Hsien and remained in service until the late 1960s. 11 ships built at Shanghai Dyd in 1932-36. The first six were captured by the Japanese 1937-38, fate unknown but for Wai Ning and Yung Ning renamed Bunsei and Unsei in japanese service, recaptured in 1945, and Wei ning returned to China, sunk 1949, salvaged and used by the ROCA until the 1970s. Yung Shen and Jen Shen were two small gunboats, lunched 1928, 300 tons, 500 hp for 10 knots, 1x 76mm/80mm, 1x 57mm both scuttled in 1937. Kuan Chuan (1908): 305 tonnes ship armed with 2x 37mm and one Maxim MG, made at Kiangnan Yard. Fate unknown. An Feng (1908): Also from the same yard, 169 tonnes, had a shaft with 1 watertube boiler for 350 ihp and 12.1 knots. She used by Han Hui Sheng, provincial governor. Lien Ching (1910): Steel hulled gunboat, built at Kiangnan, 500 tons (53.3 x 7.6 x 2.9m) she had two shafts TE cylindrical multitubular boilers producing 925 ihp for 13.5 knots and carried 95 tons of coal. She was armed with four 3-pdr guns (47mm). She was ordered as an admiralty Royal yacht by the navy department, for Tsa Tsun. Completed in 1911 she had one funnel, and two masts. She was renamed Chi Jih and used as a survey ship. She was sunk near Suzhou (on the Yangtse) by Japanese destroyers on 26.8.37. Wu Feng (1912) Built at Tsingtao as admiralty yacht for the Peiyang fleet but served as gunboat. She was later scuttled at Kiangyin as blockship. 200t, 38 x 6 x 2m, 11 shaft VTE 300 ihp for 10 knots, 4x 37mm. Yung Hsiang class (1912): Both were but in japan at Kawasaki and Mitsubishi yards, were 780 tons 66 m long ships for 9m wide, 2 shafts VTE 2 waterube bolers 1350 ihp, 13 knots, armed with 1 4.1 in (105mm) gun, 1 12-pdr (75mm), 4x 3pdr (47mm) and 2x 1pdr (37mm). Yung Hsiang was sscuttle at Tsingtao, later refloated by the japanese, returned in 1945 and became a rearmed taiwan patrol boat (then 2x 3in, 8x 25mm AA, 2MGs) until 1959. The Yung feng was renamed Chung Shan and sunk of Kinkou (Yangtse) in 24.10.38 by Japanese aviation. These were pure riverine crafts designed for provincial outposts on various rivers, Four ships are noted although the last two may have been never completed. Chiang Kung was sunk by aviation in 10.38 on Tsuin river near Canton and Chiang Tai in 26.9.37 on the Kwantung coast. Their original armament was to comprise a 47mm, which may have been never mounted (see below). In 1938, they were rearmed with 2x 3in and 1x 40mm AA and one machine gun. Armament: 1x 3in, see notes. These two ships were built in Germany at Germania and Vulkan yards, launched in 1911 and 1912. They were riverine ships named after rivers, for the Nanyang fleet. Their design was close to the Otter class, and teir planned 2x 57mm guns were never fitted. In 1930 Chinah Hsin was rearmed by a single 1-pdr while the other gets two. Both were sunk on 24.8.1941 at Pazung, Szechuan. All three were ordered in Germany, at Schichau, the first in 1910 and the other two in 1911. The first made 36.8 knots on trials. By 1918, well after delivery they were renamed Yu Chang, Chien kang and Tung An. The first was wrercked at Nantung Chao and was later salvaged and broken up. Chien Kang was sunk on the Yangtse by Japanese aviation, and was later reloafted and incorporated by the Japanese as the Yamasemi. The third was scuttled at Tsingtan 26.9.37. Propulsion: 2 shafts VTE 4 schichau boilers 6500 ihp, 32 knots, 80 tons coal. Named in Chinese, 船 數量 1, 2 or “Kua” i 1, 2, these Chinese torpedo boats were the former MAS 226 and 227, built in Orlando, Livorno, type “12 ton” boats designed by A Bisio (SVAN), completed in 1918 and accepted into service in 1921 with the Canton Fleet. These boats served without significant event and were scrapped in 1933. Displacement 12/12.9 tons at full load, 16.4 x 2.89 x 1.41. 2 propeller shafts, Isotta Fraschini 500hp gasoline engines, 26 knots. Endurance, 200 nautical miles at 26 knots. Armed with two 6.5mm / 115 Breda machine guns and two 450mm torpedo tubes, plus four ASM deep-loads. Crew: 8. The closest Kuai 3 and 4 were from Baglietto, Varazze, acquired in 1931 and deployed with the Canton Fleet. They were lost in action in Guangzhou (Guangzhou) in October 1938. Two new Kuai 1,2 stars built in Thornycroft, Woolston and acquired in 1933 to replace the two former MAS lost. Ordered in 1932 in 8 copies later reduced to two (building numbers 2269 and 2270). It was an upgraded type of the World War I 55m Thornycroft with a reinforced wooden hull. The Kuai 2 performed on the Thames Trials in November 1933 and reached 43 knots. In January 1934 the two stars arrived in Canton and were lost in October 1938. Propulsion: 2 shafts, 1 Isotta Fraschini 500 cv petrol engine. et 26 Noeuds max. The first 8 boats were ordered in 1935-1936: 4 for Canton Squadron and 4 for Yangtze. 8 more ships will be ordered in 1937 or 1938. Four are transferred to the Chinese navy in Hong Kong in the middle of 1938, and two completed in September 1938 in Hong Kong were requisitioned by the Royal Navy 1939 as MTB26 and 27. Unknown . Yan 92 is captured on 24/10/1938 by the Japanese, three are lost in 1937, one in 1938, and the survivors are renamed in September 1944 Chenggogng, Tiangxiang, Chungmu, Wumu, Xiguan, Tingbi and Kefa. Propulsion: 2 shafts, 2 Thornycroft gasoline engines 1060 cv, 45 knots. Ten “Schnellboots”, ordered in 1936-1937 in Lürssen (Vegesack) in Germany by the central government of China for the Yangtze flotilla. German designations C1-10, German type S2 with a composite shell. Only the Kuai 101-103 (C1-3) were completed in 1937, with the C4-10 not even started. The contract is finally German side in August 1939, the hulls requisitioned and converted to MTB S30-37. Yue 22 was sunk on 01/8/1938 and Kuai 102 during the 1947-49 civil war. The Kuai 101 went through the war and was recommissioned in 1949 by the Navy of the Republic of Chinese, serving until 1963. Specifications: Same as S2 German. 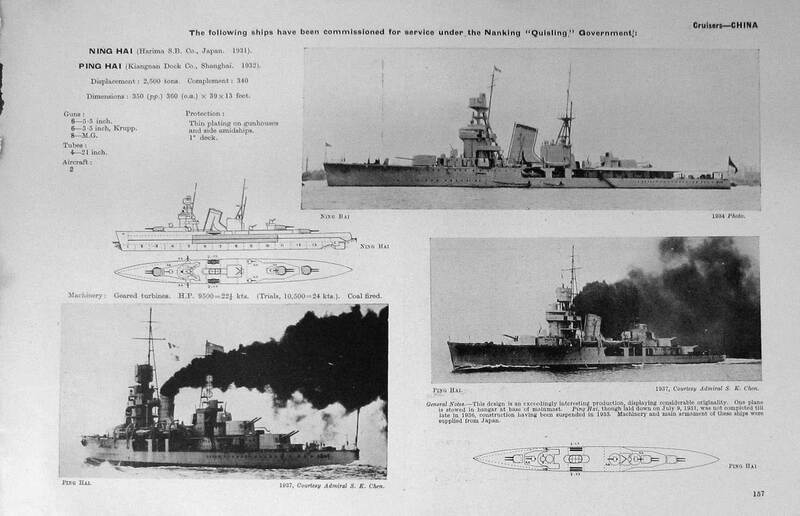 Thes Normand TB designs were ordered to Kawasaki Nyd for the nanyang fleet, Vice-admiral Hu Peh. Laid down in 1906 and 1907 they were completed in 1908 and in 1922 they were rearmed by 1x 3pdr and one 1-pdr, all sunk by Japanese aviation on the YangTse. One, the Hu Ngo was refloated by the Japanese and reused as the Kawasemi from 1937 to 1940. Armament: 1 x 2.5in, 1x 6.9mm MG, 3x 14 in TTs bow and deck.